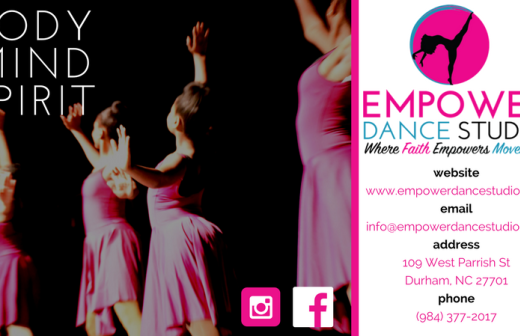 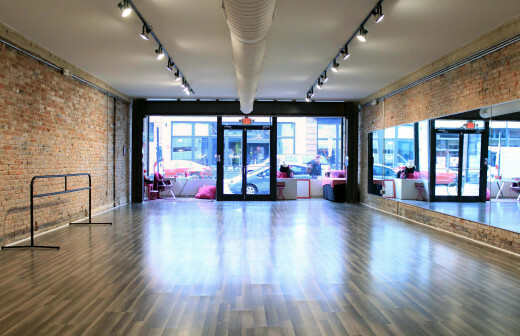 Empower Dance Studio, a place where faith empowers movement! Located in the heart of Downtown Durham at 109 West Parrish Street. 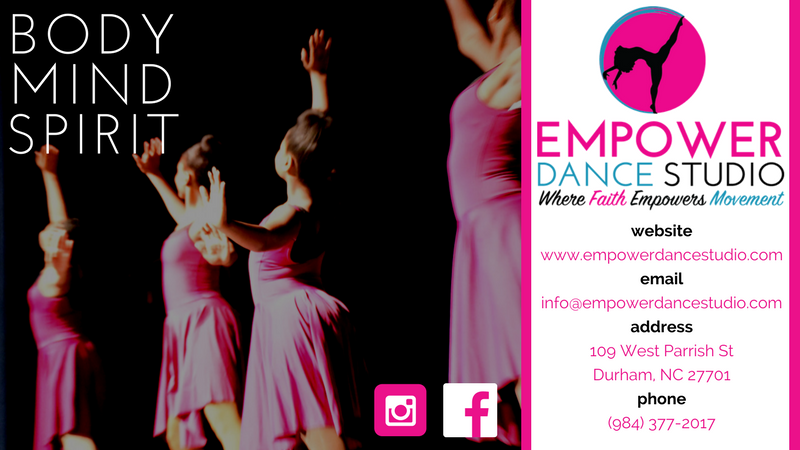 Empower is a dance studio that nurtures and fosters natural beauty, instills self-confidence, and reinforces positive images of dancers from all backgrounds. 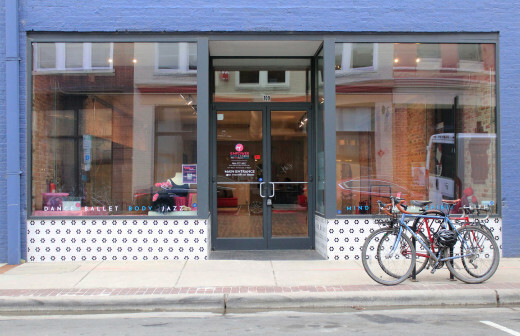 Business Hours: M-F, 5pm-9pm; Sa, 9am-2:30pm. See website for class schedules.